Pune is one of the most beautiful places with a center for educational excellence in Maharashtra. Numerous students from all over India, as well as all corners of the world, come to the Pune University which is also known as Savitribai Phule Pune University and previously was known as Poona University. 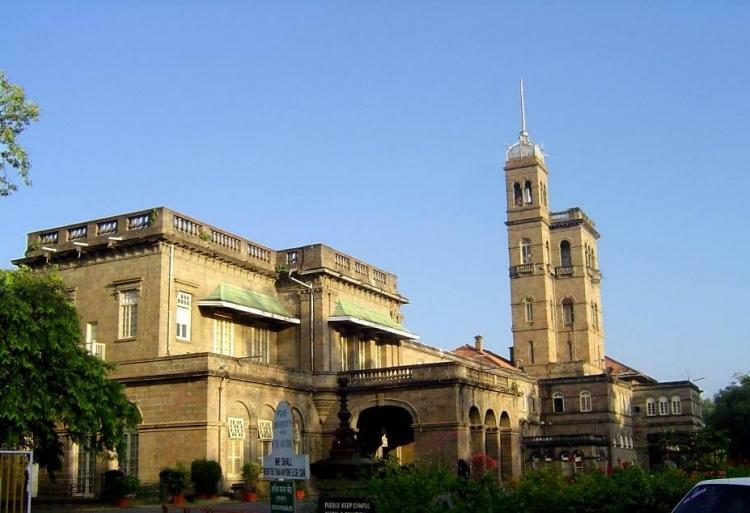 The Savitribai Phule Pune University (formerly known as University of Poona) was established on 10th February 1949 under the Poona University Act, passed by the Bombay Legislature in 1948. Dr. M. R. Jayakar assumed office as the first vice chancellor of the University. The mission of the University is to be a global and collectively conscious Centre of educational excellence that can fight with the challenges of the world. It is committed to empowering its faculty members and its students to social development and progress in the nation. Pune is a safe place compared to all other educational places in India. Pune houses various well known educational institutions and the well known Pune University that offer various courses including Science, Commerce, Arts, Linguistic studies, and Management Studies as well. The Pune University is a center of studies and excellence with its picturesque ambiance. The University was established on 10th February 1949, under the Poona University Act. The Pune University has 46 academic departments and is also termed as the Oxford of the East for its wonderful academic and social ambiance, the scenic beauty, the sprawling green campus and the cosmopolitan group of students from all over the world. There are 307 recognized research institutes and 612 affiliated colleges offering graduate and under-graduate courses under the Pune University. Many foreign students are also known to visit the University for Studies due to its exceptional amenities. The University is still growing and progressing as time is progressing and soon it would be one of the best Universities in the world. What makes this Pune University a must visit one? The Pune University has a number of exceptional features and facilities that include. A provision of the hotel for students- The University has a chain of 7 hostels for boys and 6 hostels for girls. Apart from hostels, the University also has a guest house that is well furnished, comfortable and can accommodate more than 1221 students in 34 rooms with dining facilities. The University also has residential facilities for 115 teaching staff and 294 nonteaching staff in the campus which is safe and protected as well. The University has a large cafeteria that is located amidst the Sociology, Chemistry and Physics departments.You can choose from a varied assortment of meals at reasonable prices in a clean and hygienic environment. Apart from the main cafeteria, the University also has various kiosk canteens that provide snacks and beverages from morning to evening. Apart from studies and academics, Pune University gives special emphasis on sports and physical activities. The University Campus has Basketball Courts, four Auditoriums, and an Amphitheater, sprawling parks and gardens, Volleyball Courts, Cricket and Football grounds, Gymnasium and a Sports hostel. The huge sprawling Sports campus has a large ground for Indian and European team-games and athletics. Apart from that, there are facilities for indoor games as well. Natural lawns have been laid in the fields for football and cricket. A new Olympic sized swimming pool is also being constructed within the campus. The university offers different scholarships to the students. The university conducts seminars and conferences for the students. Are there are advantages of studying in Pune University? The presence of top research institutes, IT companies, and various private companies makes Pune University one of the most premier Universities in the world. Pune is known for its student friendly atmosphere Pune has a number of 24-hour internet cafes and dedicated student counseling help lines all over the city. The majority of the population in Pune comprises of young students from all streams. This makes Pune University one of the most excellent places to be in as you can connect to different traditions and cultures of the world. The University of Pune now has 433 affiliated colleges and 232 recognized research institutions. Pune University has been accorded the highest A rating by the National Assessment and Accreditation Council. Apart from educational opportunities the university also provides facilities that help their students to acquire specialized skills like an additional foreign language, computer skills access to different industry projects as an Intern and various other activities. Pune University is a pioneer in multidisciplinary studies with strong ties with global institutes who help in campus placements for students every year. The University ranked 600th in the QS global rankings in 2011.Around 30,000 foreign students from 80 countries pursue higher studies in Pune.It also contributes to 80% of the IT recruits in the country. Students graduating from Pune University can try their luck in various kinds of professional fields including research fellows, teaching, private service in MNCs, and more. Pune University also has a number of online courses that you can choose from. There are various advantages of studying in the University. This University is one of the most well known Universities in the world due to which students from this university are known by their education and degree in the outer world as well. What kind of courses are offered by Pune University? The Pune University offers a number of undergraduate and post graduate courses for students coming from all over the world. There are various courses offered by the University. You can login to http://www.unipune.ac.in/university_files/List_of_courses.htm to get a detailed list of the courses offered by the University. Eligibility– These are all 1 year or two years courses depending on the subject. You would need to have a 55% aggregate in graduate degree for post graduate courses or 55% or more for admission to undergraduate courses. The degree should be for a well recognized government affiliated board. H.S.C. Exam from Statutory Board /University in India or equivalent examination for undergraduate courses and 55% or more in graduate level for post graduate courses. These are all 2 years or 1 year courses depending on the subject. Advanced Diploma in French 3 Years Diploma course in respective languages/ S.S.C./H.S.C. Advanced Diploma in German 3 Years Diploma course in respective languages/ S.S.C./H.S.C. Advanced Diploma in Russian 3 Years Diploma course in respective languages/ S.S.C./H.S.C. Each and every subject and course has its own set of eligibility and requirements depending on the specialization of the program. The eligibility requirements are also available at the Registrar’s office or online at the University website, for information regarding conditions of eligibility for various programs and courses; please refer to the Savitribai Phule Pune University booklet. How can you Obtain Online form for admission? Pune University Application forms for various courses can be either filled online or online. Online forms can be downloaded from the website, and offline forms can be obtained from the University Counter. In order to be eligible for admission, Candidates need to fill in the online application forms within the given due date. How to apply at Pune University? In order to register for online examination and Registration forms for external courses, the student needs to first register himself on the website. You can choose your own user name and password and your new user name and password would be mailed to your specific email ID. After the account has been created you can proceed to the online application system by clicking on the student profile link on Home Page. Clicking on the link will open the Online Application form for Examination and Registration forms for external courses. Fill in all the correct details accurately. You would be redirected to the home page and you can fill up the subject selection form. After selecting the link, click on the subject button. The student should select the Challan to create the Challan in order to make the payment. The University of Pune is inviting applications from aspiring students for various educational courses in the new academic year. The University would offer various undergraduate and post-graduate courses in the University as well as its affiliated colleges and University campus. Submitting the hard copy of the system generated to the University of Pune along with Challan copy and copies of all credentials with supporting documents. The aspiring candidates would be selected on the basis of the marks obtained in the written test with 50% marks in the individual subject as well as the aggregate. Applicants those who are willing to apply must fulfill the eligibility criteria as Graduation with Honors in Science or Commerce or Arts etc or Graduation in Engineering and Technology or Medical Science or Professional courses from a reputed University. Is there an option from where you can download Pune University books? Different course fees have different rates for the academic year 2017-2018. The master of Business Administration is a 2 years full time course for which you would have to pay 65000 per year. Bachelor of Performing Arts is a full time course for 3 years which would cost you 26090 Rs for each year. Master of Technology is a 2 years full time course is 60625 Rs for 1 year. Master of Technology is a 5 years full time course that would cost you 102,075 Rs for a year. The Masters of Law is a 2 years full time course which costs you Rs 27700.Master of Journalism and Mass Communication is a 2 years full time course which costs you 6200 per year. Master of Computer application is a 3 years full time course 30046 Rs. Master Of philosophy course is 5455 Rs a year for two years and Master of Science is 1600 Rs per year for 2 years. Master of Arts is 1000 Rs a year for 2 years. Where can you find Pune University job vacancies? Would you like to work in Pune University? There are various job vacancies that you can browse through for different positions. At the moment, there are various job requirements that you can search for in the University website. for more details on the eligibility criteria, the pay package and the duration of the job along with all other details .they can send their resume with the specified job code to the Head of the Department and also do not forget to mention your email address and contact details . Candidates would be informed by email. You can also login to the Pune University recruitment website to find out more about the other details like age limit, educational qualification, selection process & how to apply. There are various websites where you can buy as well as sell books and also exchange books of Pune University. Choose from an assortment of books starting from journals, e books, newsletters and regular study books. One of the best platforms for doing the same is Tradly where you can buy, sell and swap online books. Tradly is one of the best apps for students. Tradly offers you a state of the art shopping experience with all kinds of modern technology along with the digital platform of an assortment of books. You can buy books; sell books or exchange books depending on your requirement. Tradly is the mobile only social marketplace app which is used for buying, selling or exchanging any kind of products and goods. Tradly is a Chennai based social marketplace where all kinds of community members can engage themselves in buying, selling and exchanging new as well as old books. You can also donate your books in exchange for money. Tradly can also help you to find people who are willing to sell or exchange their books and follow them. Tradly is a social platform where people from all across the community can engage themselves by the option of chatting. This app also comes with a unique feature that allows users to discover products nearby local areas, based on the product type and category. This app is also accompanied by Connect feature and trade feature that allows users to Follow and Chat with their much-loved people in order to know more about them and buy, sell, donate and swap their used or new items without any listing cost. This App has been downloaded by a number of users including school and college students, people who love reading and book lovers. It strives to improve itself with a number of enhanced features. It also has a smooth payment Gateway method that makes transactions smooth. Experience a unique way of trading by discovering through social community and connect with safe chat. Discover: New & secondhand items within your college circles or from your neighborhood. Find everything you are looking for! Connect with new designers, new peoples, and merchants.
. This is a Second hand Bazaar which you can control through your mobile app. Buy & sell secondhand products in India quickly, safely and locally on the free Tradly app. So download the Tradly App and start selling your old books and products today!